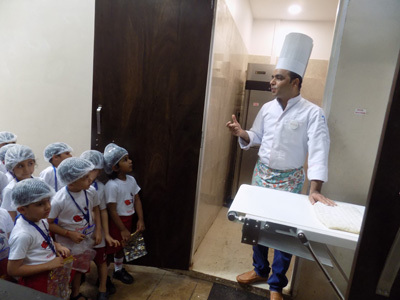 The field trip to bakery helped Jr.KG students explore their senses. 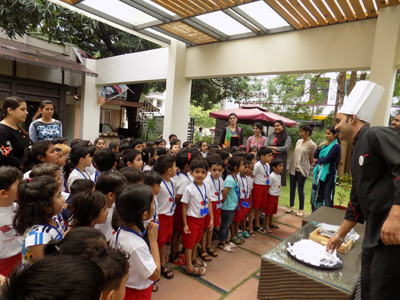 With great awe they watched making of chocolates and vegetable puffs, icing of cakes and dressing of doughnuts. 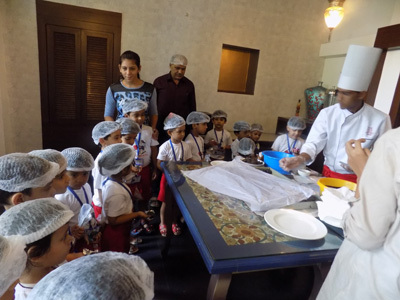 The lovely aroma emanating from the ovens furthered their curiosity. Their happiness knew no bounds when they were provided with the doughnuts to eat. The day was truly well spent and enjoyable!